Alumni Hall was the original home of the university library, however, it was also an all-purpose building that bustled with student activities. Besides the library, it contained a gymnasium, reading rooms, chemistry and biology labs, a billiard parlor, a golf practice range, a Ham radio station, and an auditorium. The bell tower was used as a projection booth for movies. The building later went on to house a print shop and the carpentry and maintenance departments in the basement, as well as The Laurel, the Glee Club and Band practice rooms, and additional classrooms. On the top floor, the chairs for the auditorium were eventually removed and the area became offices for university departments. Construction began on Alumni Hall in 1887. The hall received its name in honor of the donation of $11, 560.00 by St. Bonaventure alumni for the building's construction. This building was the first to be built during the term of former College President Father Joseph Butler and it was part of his proposal to begin an Alumni Association for the College (St. Bonaventure had not yet achieved university status). 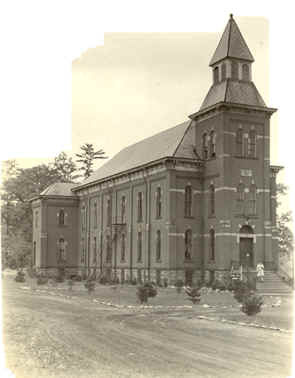 Alumni Hall, which stood just west of De La Roche, was finished in time for the commencement exercises of June 21, 1888 ("Alumni..." 7). The red brick building was one-hundred feet long and sixty feet wide with white stone trim and a bell tower (Dudek 2). It was blessed on June 18, 1888 by Bishop Stephen V. Ryan, C.M. On June 21st, mass and confirmation services were held along with the commencement ceremony. On that same day, ninety alumni founded the Alumni Association on the steps of the Hall ("Alumni..." 7). During its seventy-four year existence, Alumni Hall was the center of student life and the home of many "firsts". On February 3, 1916 the first silent film was shown on campus in Alumni Hall. The film was "A Raisin in the Sun" and the music accompaniment was provided by the Band. Another first for St. Bonaventure was the radio broadcast of 1936. It was the first national radio broadcast from any college or university, made from the stage of the Alumni Hall auditorium. The campus radio station at that time was WEAF, NY. At the beginning of the broadcast the Glee Club and Band struck up the school song, "Unfurl the Brown and White", as Fr. Claude Kean delivered the historic introduction (Klee 16). The first Catholic Action Medal was also awarded during that broadcast to Joseph Scott, Esq., of California (Hogan 3). Who could have thought that a small Franciscan institution would hold such an honored place in radio history? The library reading room in Alumni Hall. In 1938, Alumni Hall underwent a major change. 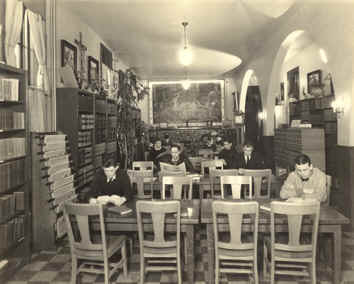 A new library was being built to accommodate the college's growing collection and by February 1938 the Friedsam Memorial Library was near completion. In order to move the 40,000 volume library from Alumni Hall to its new location, the seminarians and the student body passed the books hand to hand, forming a human chain in a method called a "Bucket Brigade". The students alternated, working in two hour shifts. In this way, the books were moved from the former library in Alumni Hall to Friedsam. After the new library's opening, the former reading room with the fireplace in Alumni Hall became a student lounge. As the campus grew in population and new buildings were constructed, the need for Alumni Hall decreased. In its later years, the Hall was used primarily for the carpentry and maintenance departments, storage, and student-run activities, such as The Laurel, until the building was completely deactivated by 1961 ("Alumni Hall of Memories..."). In 1960 and 1961, bulges and stresses were found in the foundation of the Hall ("Alumni" 7). The decision was made, due to the fact that it was not "structurally sound", that Alumni Hall should be razed. 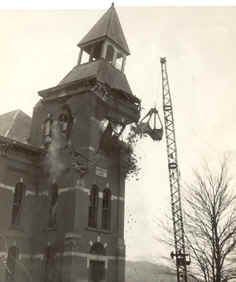 The destruction of Alumni Hall, December 11, 1961. The decision to destroy the beloved building brought out many fond remembrances and some expressions of sadness from older St. Bonaventure alumni. However, Alumni Hall was felt to have served its purpose and the university was expanding in new directions. Demolition, performed by Fitz Maurice Demolition Company, began on Monday, December 11, 1961 at 3 pm. It took two days to remove Alumni Hall. By Wednesday, December 13th, the last of St. Bonaventure's 19th century buildings was completely razed. Alumni Hall, though largely unknown to the current student body, made its mark upon University history. The Hall was instrumental in establishing a vibrant student community. Within its walls students came together to study, laugh, work, play, and be entertained- legacies that endure to this day. There are more photographs of Alumni Hall on the Thomas Merton site. Hit counter added 1 July 2010.  Last updated: 07/01/10 3/25/03--Bunt story updated.